Even though we haven’t yet enjoyed our Thanksgiving Turkey and Football in 2011, many shoppers have already begun making their holiday gift lists in order to get the perfect finds for loved ones. Like many people, you may have that proverbial tough to shop for person that leaves you stumped each year as you peruse catalogs, browse the internet and comb department stores. Maybe this person has just about everything, or has very specific tastes. Whatever the case may be, a customized order may be just the ticket to solving your holiday shopping woes. One of the benefits to shopping hand-made is that you can often request a custom order made just for that special person. Be sure to do so early though, because artisans like Layne can have a backlog for months leading up to the holidays. One of the joys we frequently experience in our line of work is the getting to share in people’s stories through creating personalized pieces for loved ones. We take pride in working with our customers to learn about their special recipient, discuss design ideas, educate them about gems and metals, as well as allow them to preview available gemstones and jewelry. If we’ve done work for your friend or family member in the past, we also have previous orders on file, including sizing information. So if you don’t know it, don’t fret. We can help make sure your gift is a surprise by saving you from having to ask those potentially revealing questions. Customized jewelry can be a great way to celebrate a milestone that has occurred over the calendar year such as a new addition to the family, graduation or promotion at work. Birthstone jewelry is often a popular choice as well. The beauty of a customized piece is that you’ll be sure you’re giving a unique gift that conveys special meaning to your loved one. If you’re considering a custom piece, contact Layne Freedline, laynedesigns@gmail.com, soon to schedule a consultation. Customizations can take a few weeks to process, so be sure to allow sufficient time for us to create your newest treasure. Come preview some of our work at our holiday show on November 13th from 1-6pm at The Club at Shannondell to gather some ideas too! The Club is located at 2750 Egypt Road in Audubon, PA.
Our Rock Review today shines the spotlight on Ammolite. Ammolite is one of the worlds few biogenic gems, in the ranks with amber, pearls and coral. Biogenic gems are formed from living creatures. Ammolite comes from small shells called Ammonites that are comprised mainly of Aragonite as well as a few other minerals like Calcite, Silica and Pyrite. The result is a gemstone with an iridescent opal-like play of color and a beautiful sheen. Ammolites are a compilation of thin layers of gem which give it it’s iridescence. Colors usually range from green to red, but can also turn up in blues and violets as well depending on the thickness of the stone layer matrix inside the gem. Rare whole Ammonite shells that have fully fossilized into Ammolite can be found occasionally also. Ammolite scores a 4.5-5.5 on Moh’s scale of hardness and should be shielded from blows or environmental damage such as water or sun exposure. Consistent exposure to sun over time can cause the stone’s colors to fade. Ammolite is found exclusively in North America. A few locations are the Rocky Mountains and also in Canada. It is also the official gem of Alberta Canada. It’s a fairly new gem, not on the market until the 1970’s, and was given it’s gemstone status in 1981 by the World Jewelry Confederation. The Blackfeet Native American tribe has known the stone for centuries, however, calling it the Buffalo Stone. Legend has it that it aided Native Peoples in buffalo hunts by drawing the buffalo to them. Practitioners of Feng Shui tout the stone as useful for improving one’s chi by detoxifying the body and promoting general well being. It’s nicknamed the “Seven Color Prosperity Stone” because each color is thought to benefit it’s wearer in different ways. A stone that contains, deep reds, greens and yellows is most desirable because it enhances growth, wisdom and wealth, all in one. Today’s gemstone, Mushroom Jasper, is a wonderful choice for those looking to add a unique piece to their jewelry collection. When Mushroom Jasper was first discovered, it had some identity confusion. Because it was found near a deposit of Quartzite in Arizona, it was first thought to be a variety of Quartzite. Once it was determined not to be that gemstone, it was then termed a “Jasper”. Although the “Jasper” name has stuck, we now know it to be type of highly silicated Rhyolite (volcanic rock) with unusual circular formations that resemble mushrooms. Mushroom Jaspers are often seen with a brick red background that bears orbital patterns in a range of grays and browns. 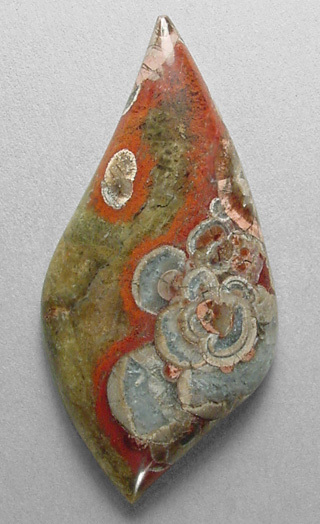 Mushroom Jaspers open are found as “thunder eggs” geode like rock balls that are plain looking on the outside, but contain gemstone on the inner layers. These freeform rocks can then be cut and shaped into lovely cabochons, since they are able to take a high polish. If you’re an animal lover, Rhyolite is the stone for you. All Rhyolites are thought to strengthen bonds between animals and humans, especially children. It is believed to be particularly effective for use with cats, since it’s often found in environments that are well suited to wild cats. In prehistoric times, the largest beds of Rhyolite existed in Eastern Pennsylvania, our studio’s own backyard! Today, there is still lots of Rhyolite to be found just under the earth’s surface in Pennsylvania in Adams, Cumberland, Franklin, Chester, Delaware and Lancaster counties. Dropping temperatures have many women looking forward to breaking their fall favorites, like boots and jackets, out of their closets. Over the past few runway seasons we’ve seen clothing trends feature interesting “hardware” like exposed zipper detailing, large buttons, and shiny buckles. The trend has given every woman a chance to indulge her inner “tough chick”. To complete your entire look, however, you’ll need some flashy accessories to compliment that moto jacket or those knee high boots. One great jewelry trend we’re seeing that coordinates perfectly with these looks are large interesting chains with edgy pendants. While this type of pendant is certainly able to stand on its own, the trendy way to wear it this season is layered with other coordinating necklaces of varying lengths. Think about wearing at least one or two other chain style necklaces along with a large focal one. Also, don’t be afraid to mix your metals because that is another trend that is continuing to hold strong. All the better for creating easy mix and match looks all season long. Pair these pieces with some stacking bangles, hoop earrings or a studded cocktail ring and you’re ready to roll! Check out some of these necklaces from Layne Designs to help you bring out your rock star! Today’s Rock Review highlights the Opal, October’s birthstone. Opal gets its name from the Latin word, “Opalus” meaning precious jewel. Opal is a non crystallized version of Silica that formed where ancient boiling hot springs existed in prehistoric times. As the springs dried up, Silica chemically combined with water and became lodged in cracks of the earth’s surface. Opal’s actually still contain some water, up to twenty-one percent. That is why it’s important to carefully guard it from heat and chemicals that can react with the water, causing cracking and loss of iridescence. It is a five to six on Mohs scale of hardness, so it must be shielded from blows as well. The structure of the Opal is what makes it diffract light and have its unique internal play of iridescence. It consists of Silica spheres that exist in hexagonal or cubic lattices. 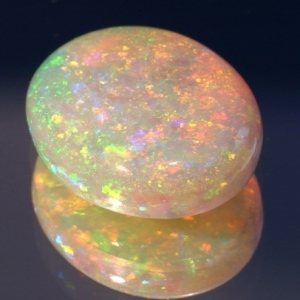 The conditions under which an Opal forms determines its color. Most Opals are a mottled clear to gray, however, more exotic colors such as red, blue, pink, green, yellow, brown and black have been found as well, black being the rarest. Legend has it that the Opal fell from heaven with a bolt of lightning. Ancient cultures valued Opals for their ability to ward off evil and guard eyesight from damage. Nobility often wore them in crowns and as necklaces for security. They were even used medicinally ground up and ingested for healing and to protect from nightmares. Thankfully we don’t use our Opals in this way anymore. Ninety-seven percent of the world Opals come from Australia, which is why it’s the official gemstone of the country. 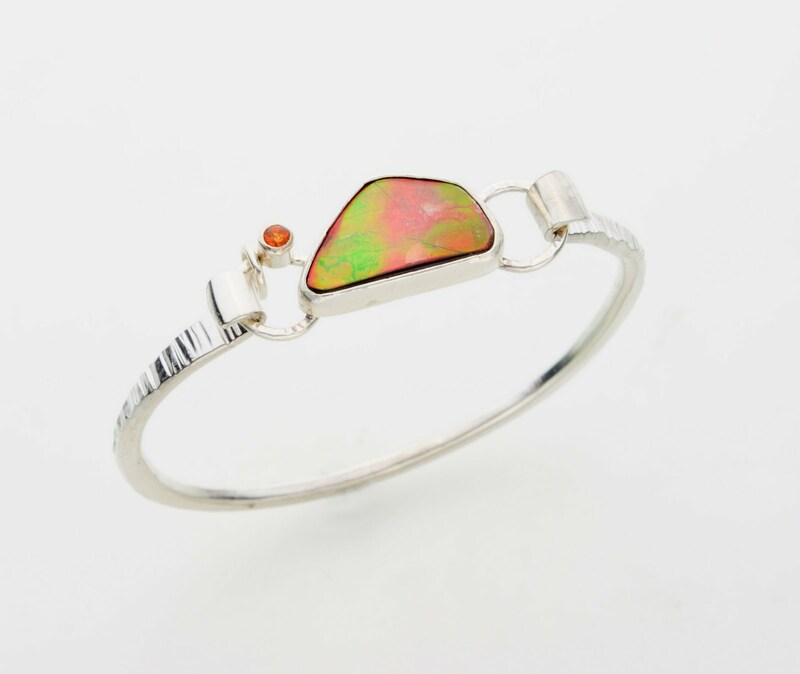 More recently, common Opals have begun to be valued for use in the jewelry market as well as precious Opal. Some fun common Opal options to consider are the Milk Opal in milky white and the Peruvian Opal in pink and blue. There is less iridescence in common Opals, but still some unique mottled colors that make them quite beautiful. Giving Opals as a gift symbolizes faithfulness and confidence. What a great message for lucky Birthday guys and gals this month! Today’s rock review features Sugilite. Sugilite is also known as Royal Luvulite and Royal Azel. It was first discovered in 1944 by a Japanese geologist named Ken-ichi Sugi on Iwagi Island and was named after him. Today, it can still be found in Japan as well as in Canada, India and South Africa. 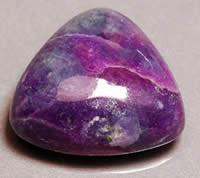 It is an unusually deep natural pink to purple variety of Silicate mineral. It can be opaque or translucent with a waxy luster. Opaque dark purple is considered to be one of the most desirable and valuable forms of this gem. It is 6-7 on Moh’s scale of hardness. It’s complex chemical makeup, consisting of eight total elements, is a rare find and usually occurs in large masses, when it can be found. The gem contains Potassium, Sodium, Iron, Manganese, Aluminum, Lithium, Silicon and Oxygen that chemically combine to form prismatic crystals. Sugilite is sometimes nicknamed the purple turquoise. 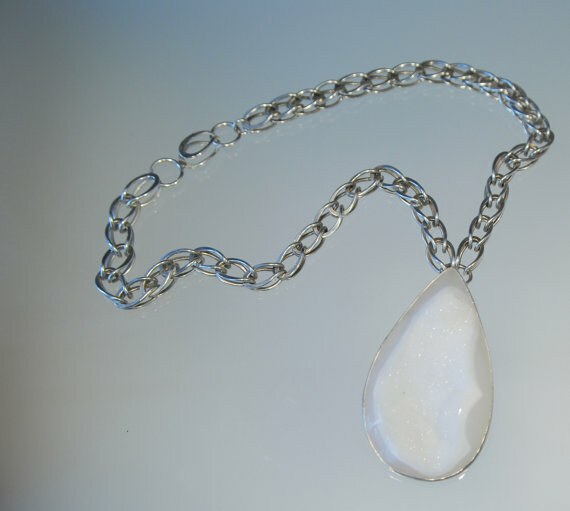 It is also thought to be one of the most powerful love stones, helping wearers to find beauty in difficult times, and forgiveness for those who have wronged them. It also is believed to balance the mind, body and spirit through granting peace of mind and a sense of general well being. Gem healers use Sugilite to aid in the treatment of dyslexia, pain, motor problems and lymph and blood purification. Gem dealers predict that Sugilite will be growing in popularity in the next few years due to it’s great natural color, it’s durability and it potential to compliment other popular gems like Coral, Turquoise and Malachite. 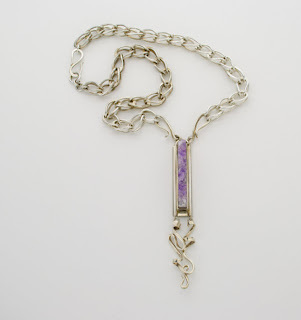 Be ahead of the trend and visit Layne Designs to add some Sugilite to your wardrobe.